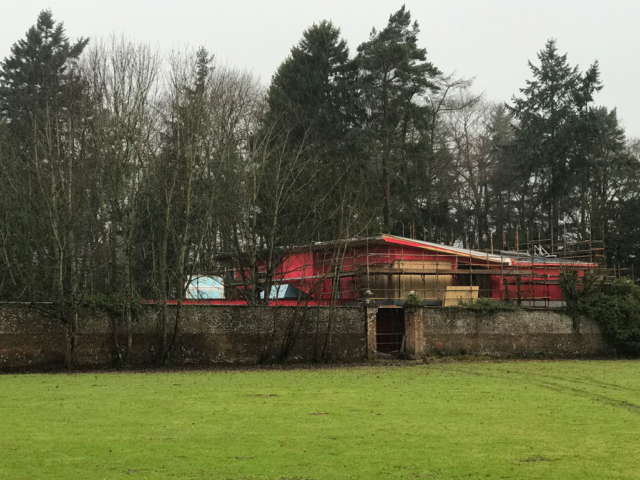 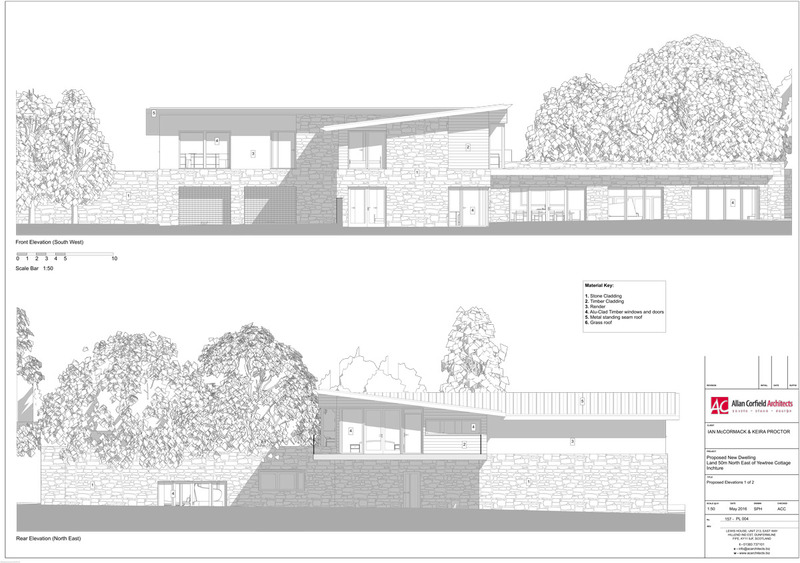 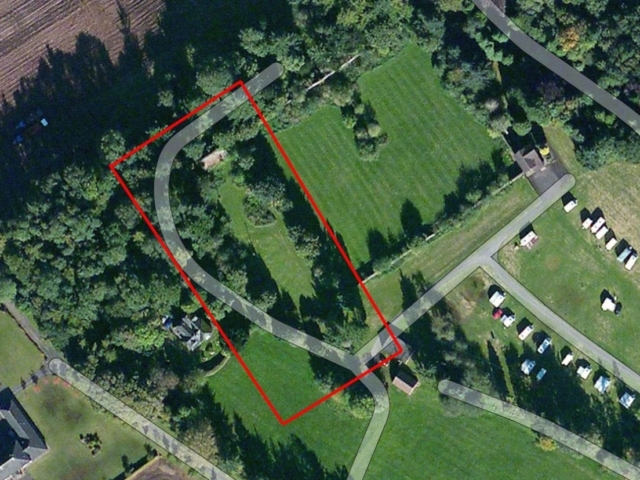 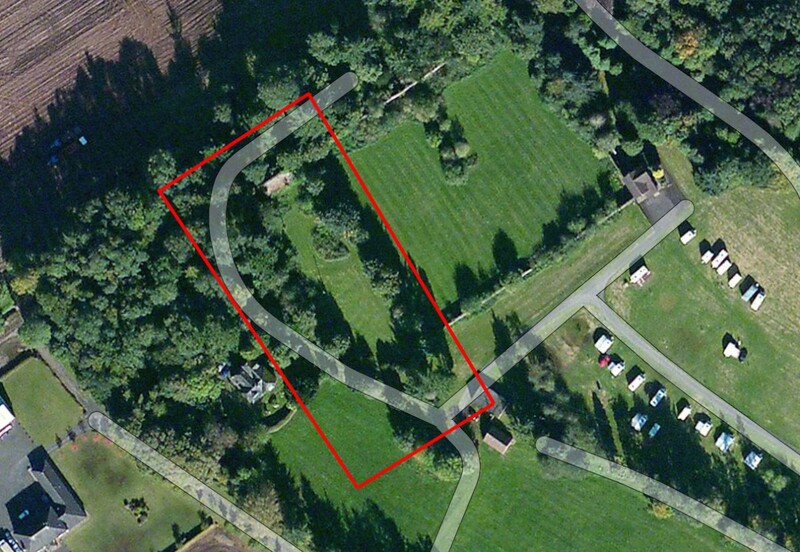 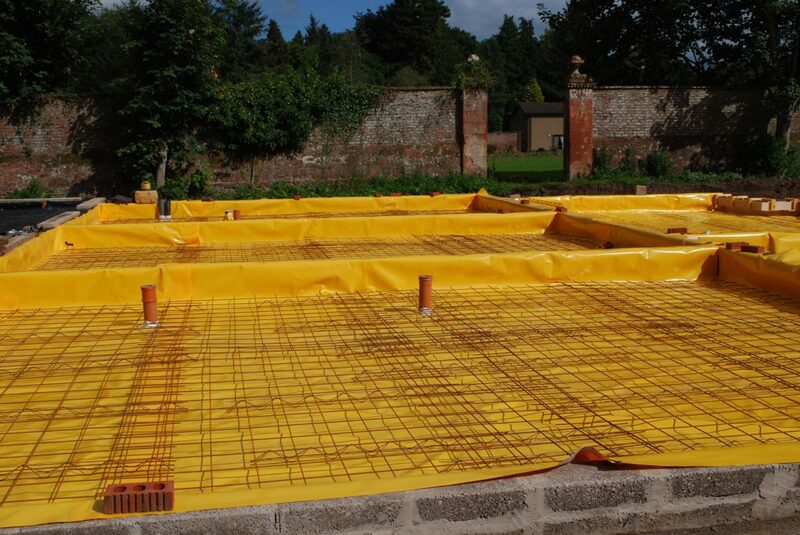 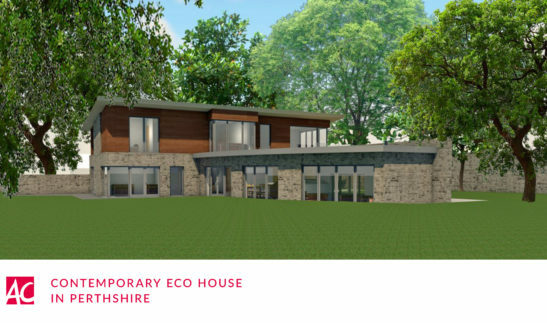 In September 2015 AC Architects were contacted about taking over a project to design a new contemporary eco-house, on the site of a listed walled garden. 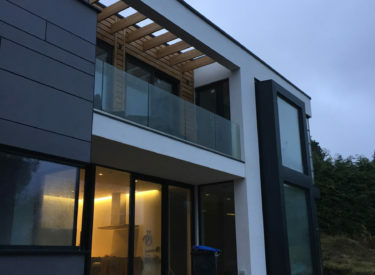 A previous Architect had designed a scheme which had not been supported by the planning department and the formal planning application was withdrawn. 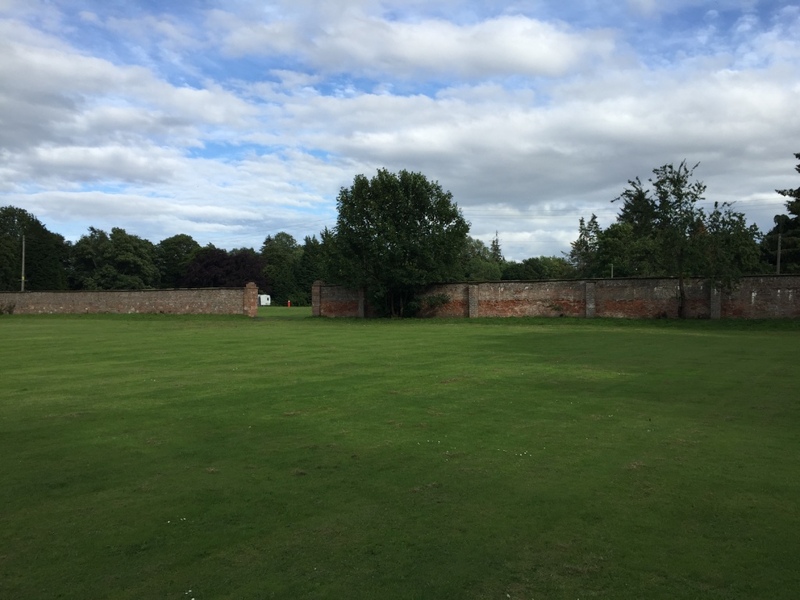 ACA agreed to take on the challenge and came up with various new contemporary designs which maximised the relationship to the walled garden. 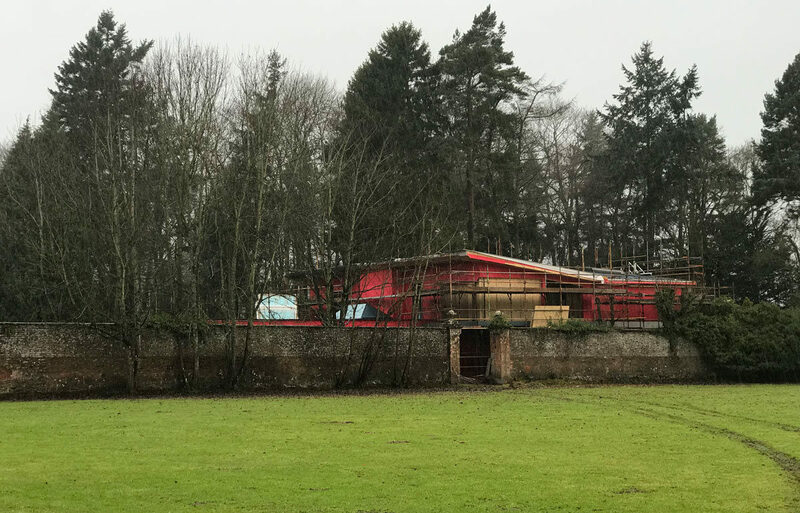 Due to the historic nature of the site, it was important to embrace the walled garden, creating a dialogue between the new building and the existing structure. 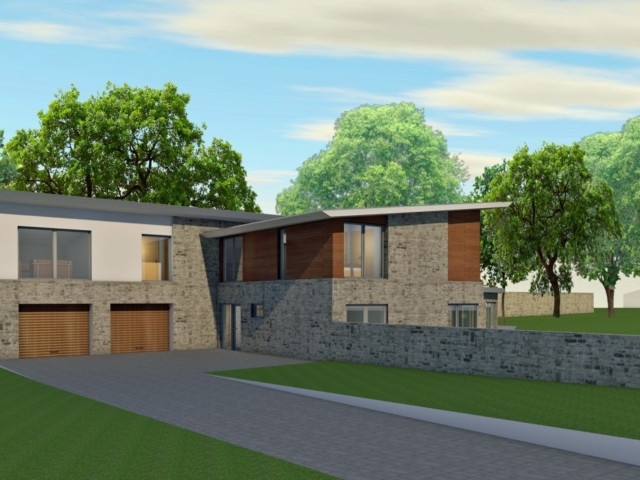 This approach was welcomed by the client, planning department and Historic Scotland and ACA secured detailed planning approval in the summer of 2016. 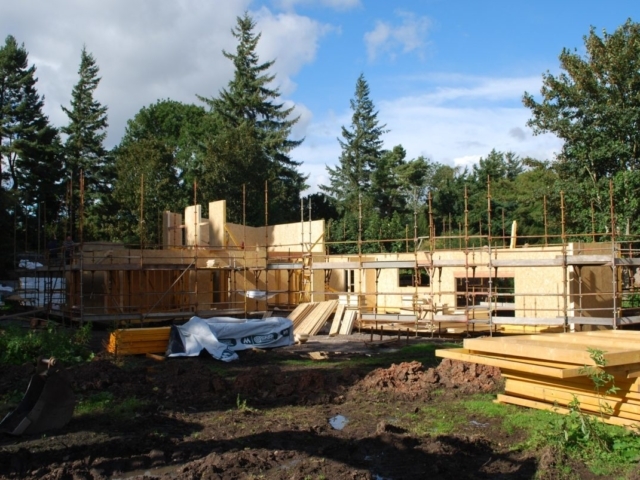 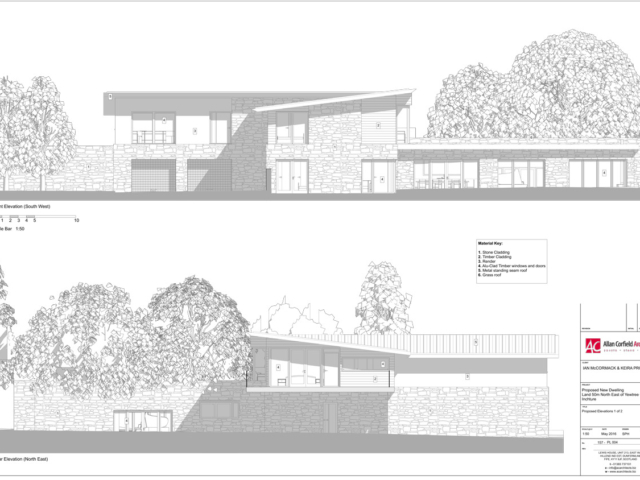 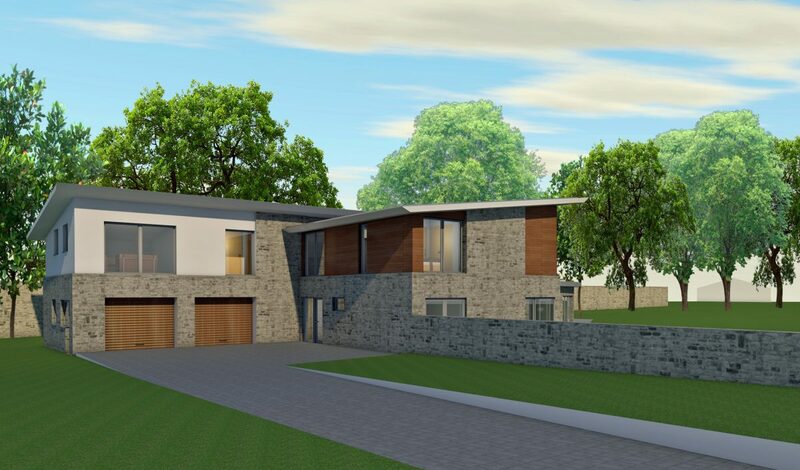 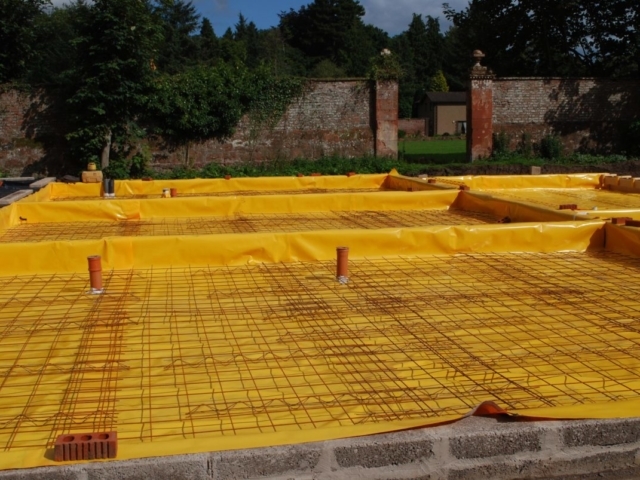 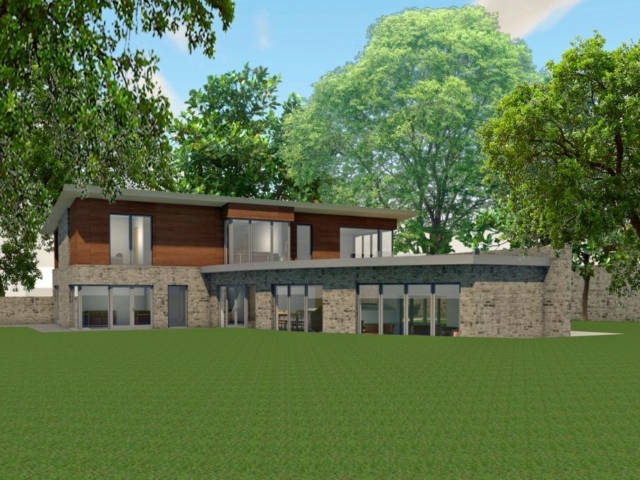 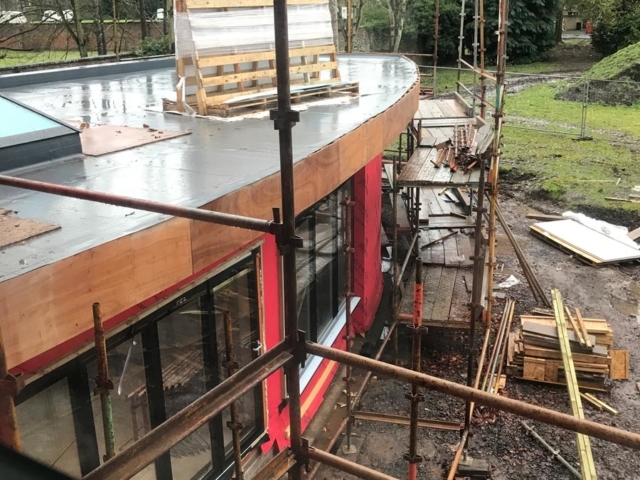 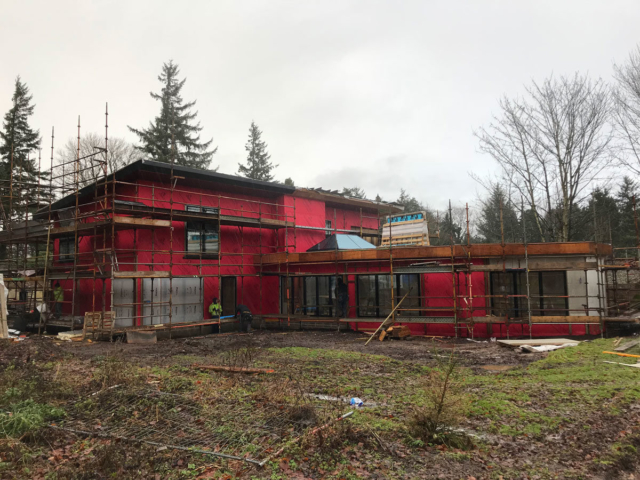 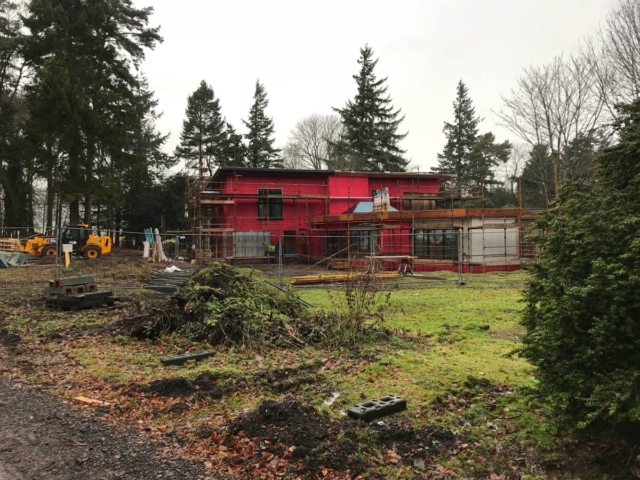 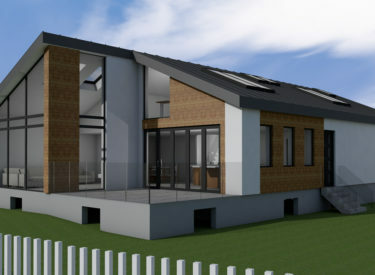 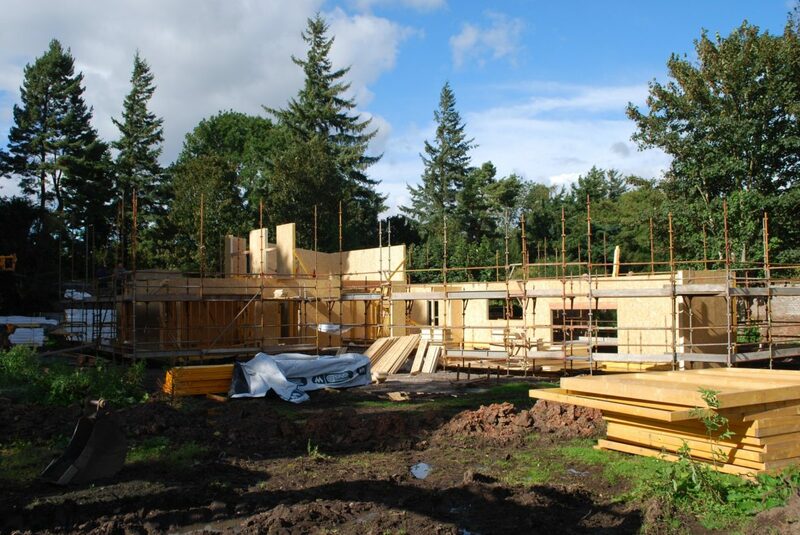 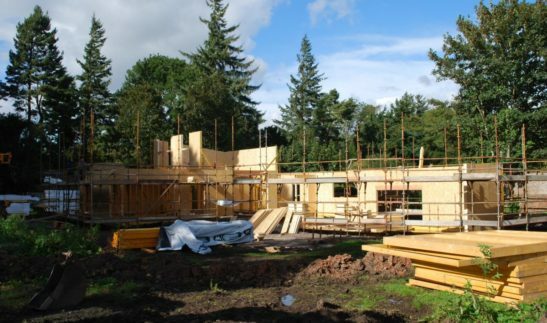 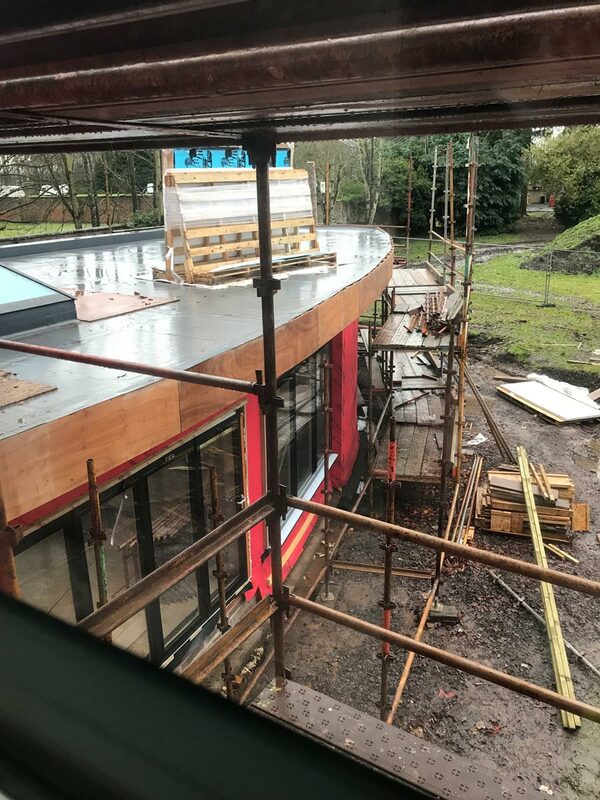 The proposed split level eco-house will be constructed using Kingspan TEK Structural Insulated Panels (SIPS) system and will be highly energy efficient, limiting all future energy bills for the occupants. 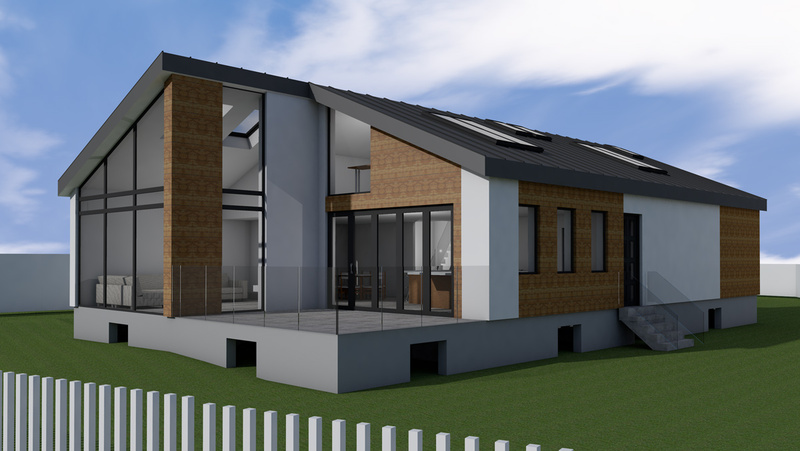 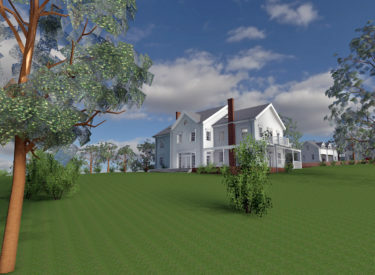 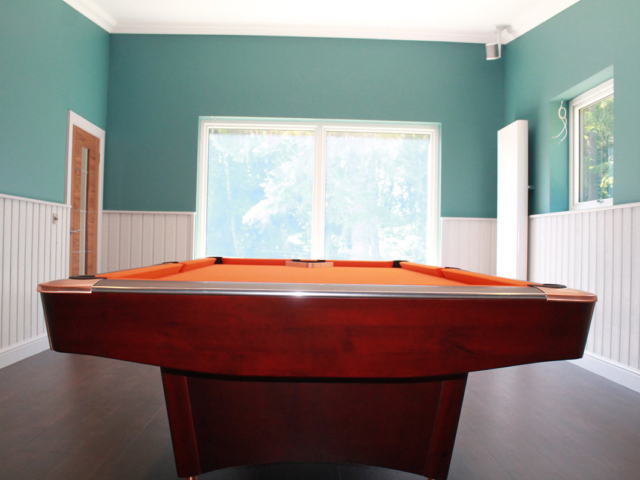 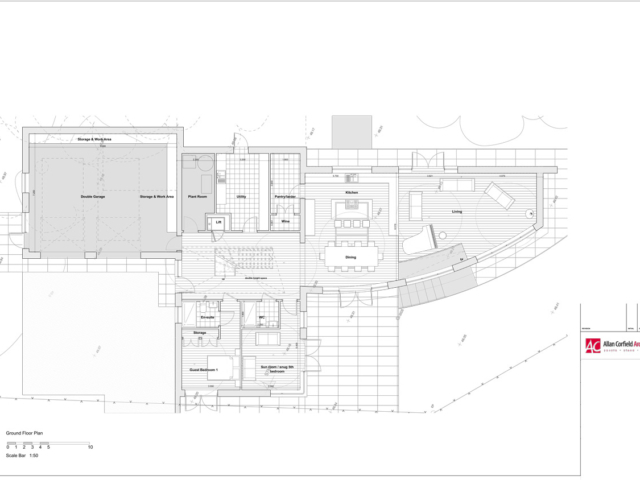 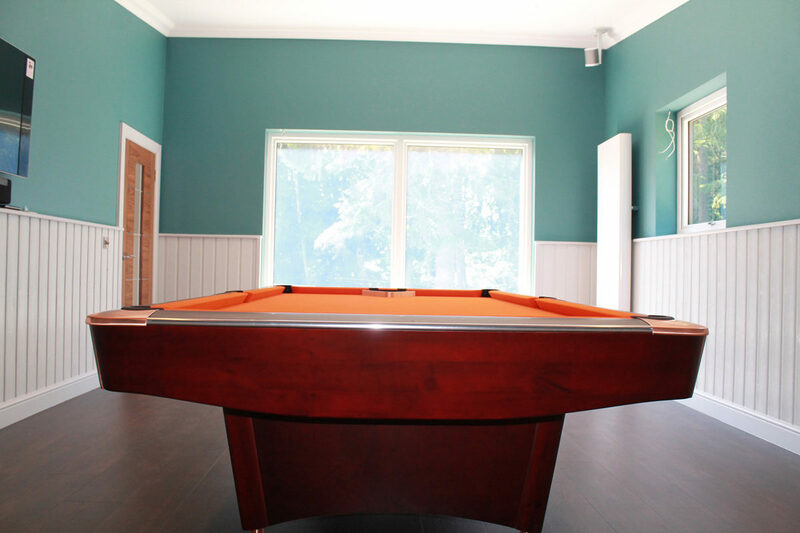 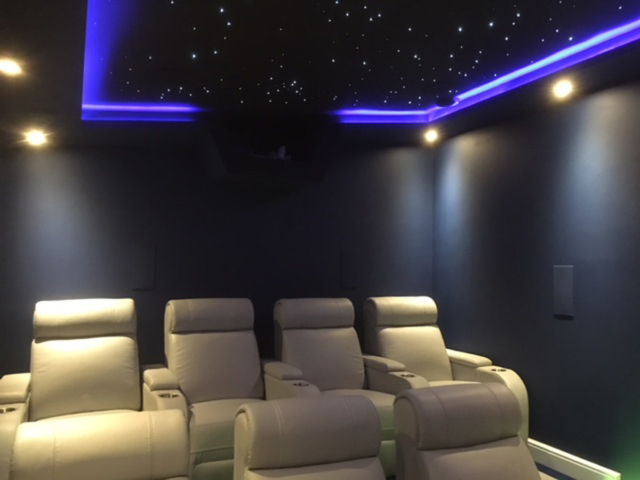 The house has 2 main elements, the first is the L-shaped 2-storey accommodation element and the second is a large sweeping single storey curved entertaining area. 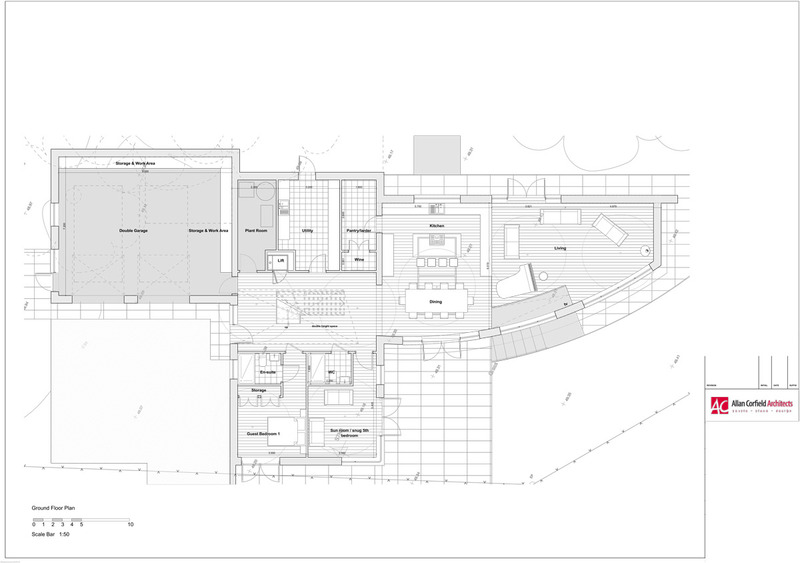 The elements are linked by a large 2-storey atrium which gives access to all areas of the home. 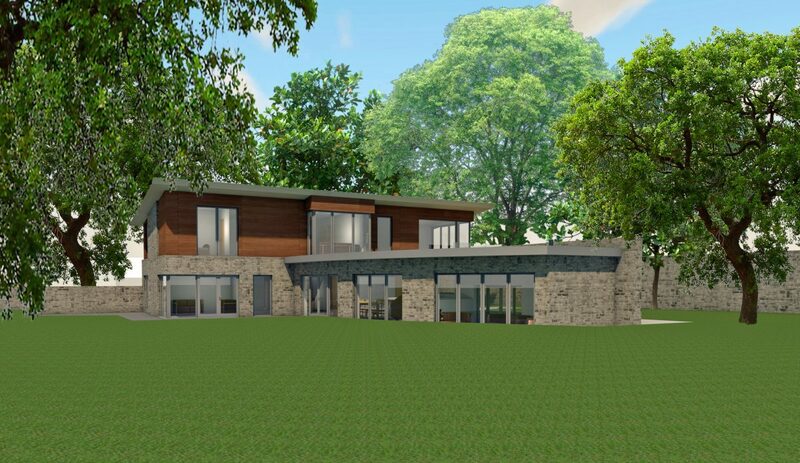 The timber and stone clad eco-house will start on-site construction works in March 2017 with an expected build programme of 6 months. 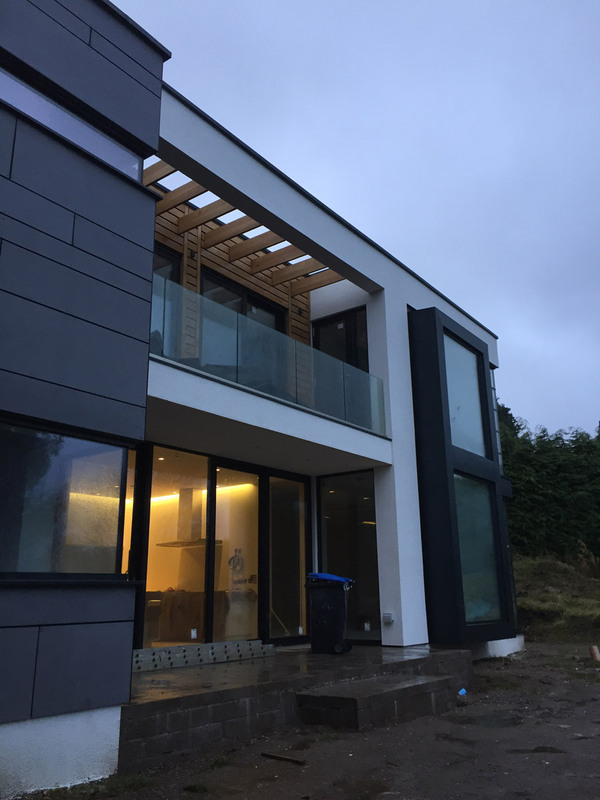 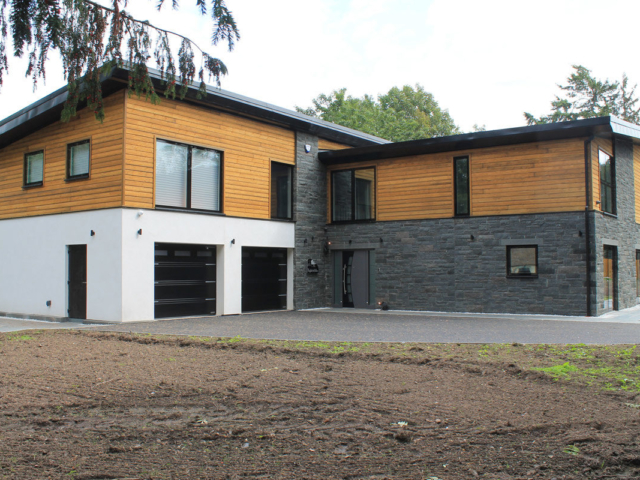 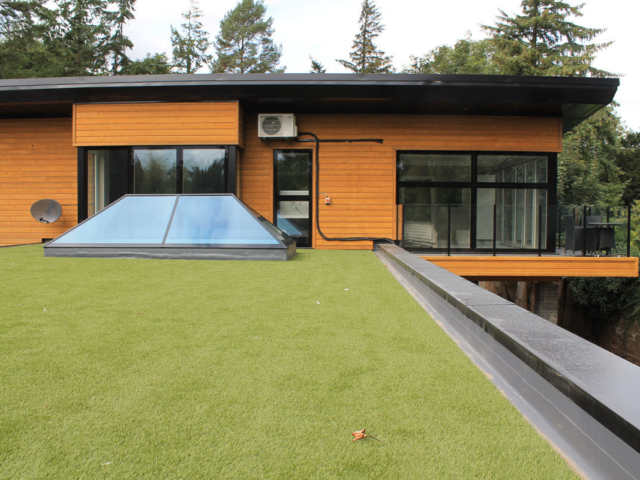 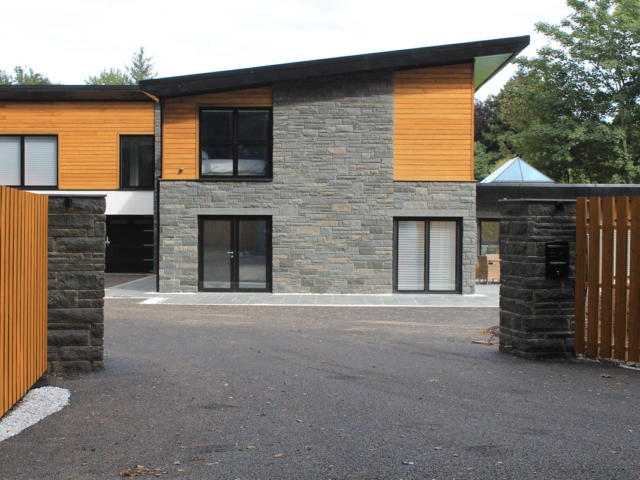 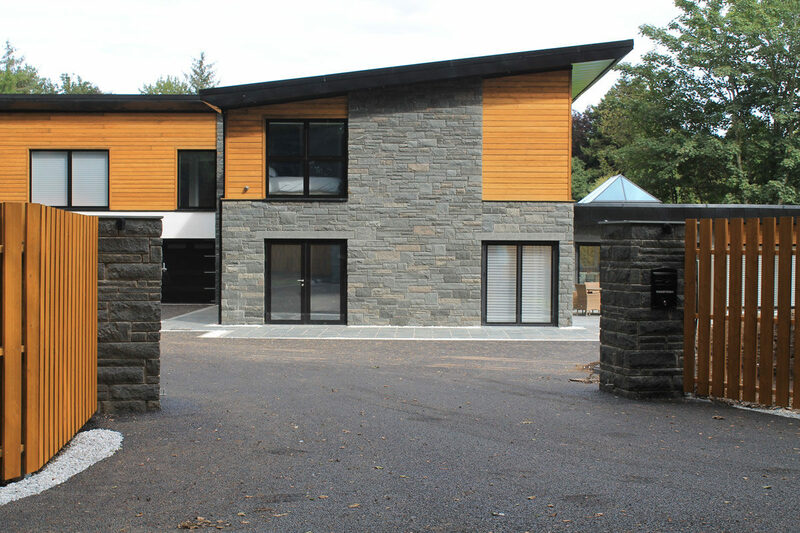 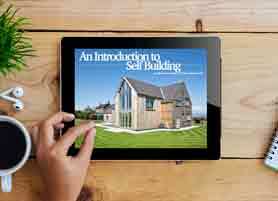 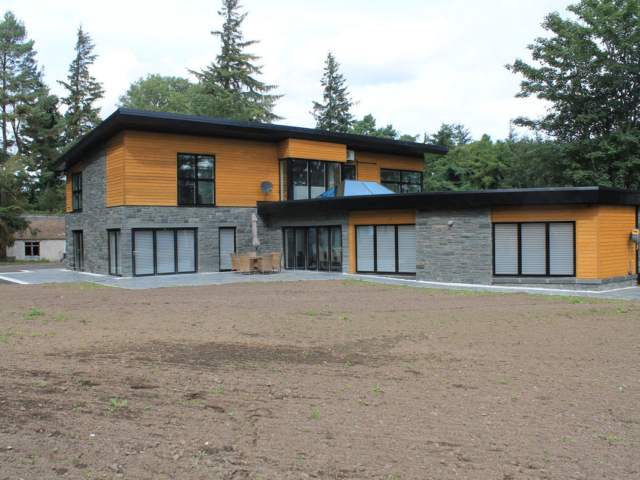 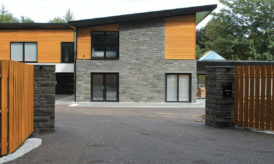 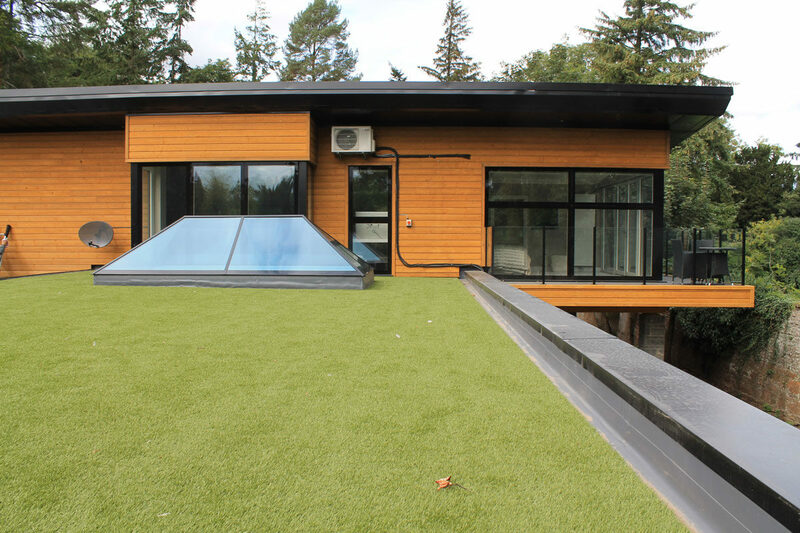 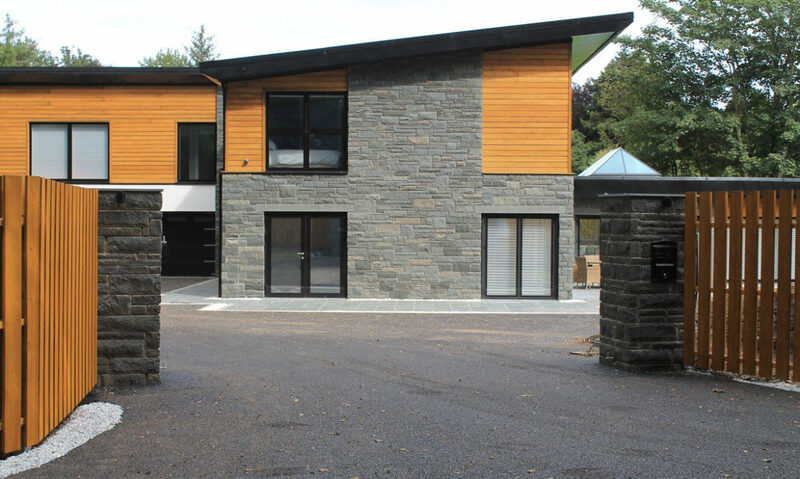 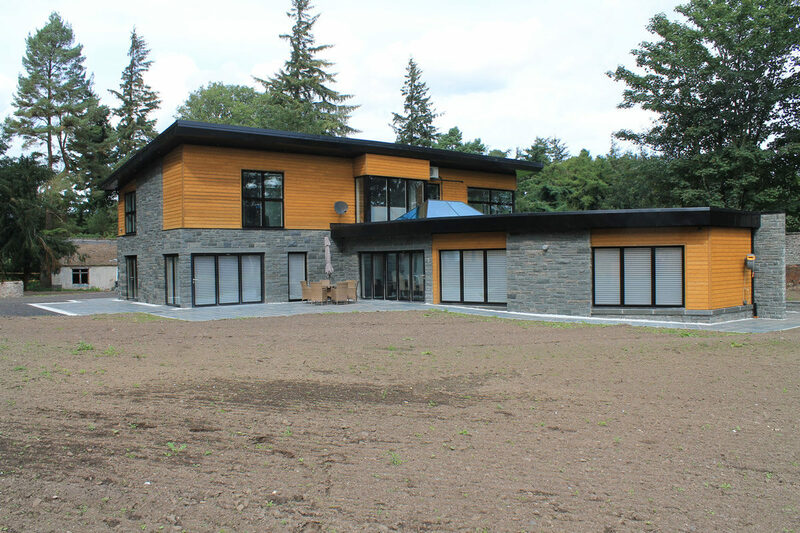 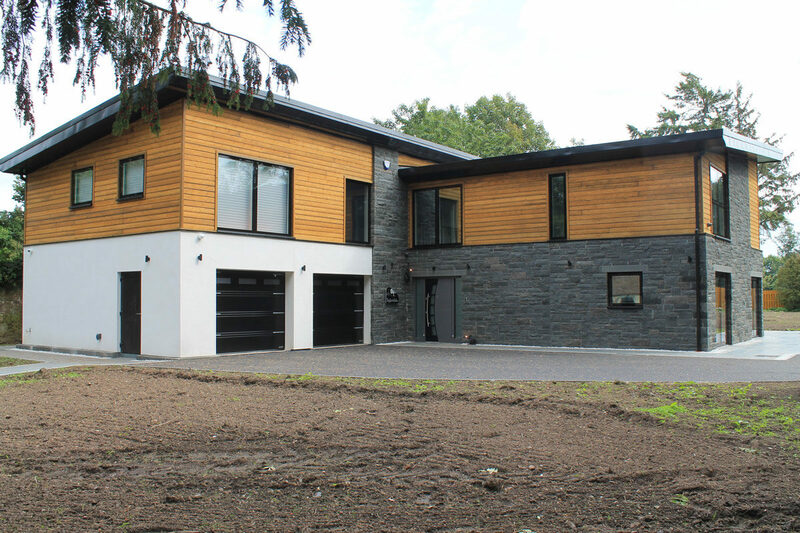 This house won BuildIt Awards Best SIPs House 2018, with Contractor SIPS Scotland.